With support from Fitz and the Tantrums and James Arthur! Pop rock fans, rejoice! OneRepublic has just revealed that they've been enlisted as the headliners for Honda Civic’s 2017 Tour, marking the event's 16th annual run. Artists billed for the tour in previous years include One Direction, Blink-182 Fall Out Boy, Paramore and Incubus. The “Wherever I go” players will be kicking off the concert series in Kansas City, Missouri on July 7, before moving to other major cities like Nashville, Cincinnati, Toronto, and Anaheim. Their nationwide voyage will come to an end in The Woodlands, Texas on September 12. For us, that means more than two months of rockin’ shows and amazing music to check out! Fitz and the Tantrums and James Arthur will be opening for the Colorado natives, and we couldn’t have asked for a better combination. We can only hope that the “Apologize” creators will be playing songs from their October 2016 album, Oh My My, which includes hits like “Let’s Hurt Tonight” and “Future Looks Good”. The five-piece will be warming up for this big run by opening several concerts for U2 during The Joshua Tree's anniversary tour in June and July. Tickets to Honda Civic’s 2017 Tour go on sale February 24 via Live Nation, and AT&T Thanks will be hosting a presale on February 20. 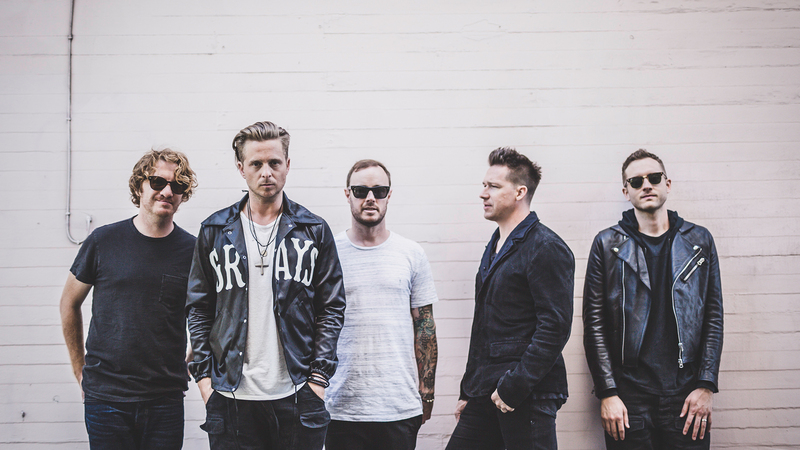 We hope you’re tracking OneRepublic on Bandsintown, so you never miss another one of their live shows!